With the cooler temps heading our way, we're sharing a Camping party theme, perfect for Fall birthdays. From the wood decorations, to the plaid details, this party encompasses all things rustic. 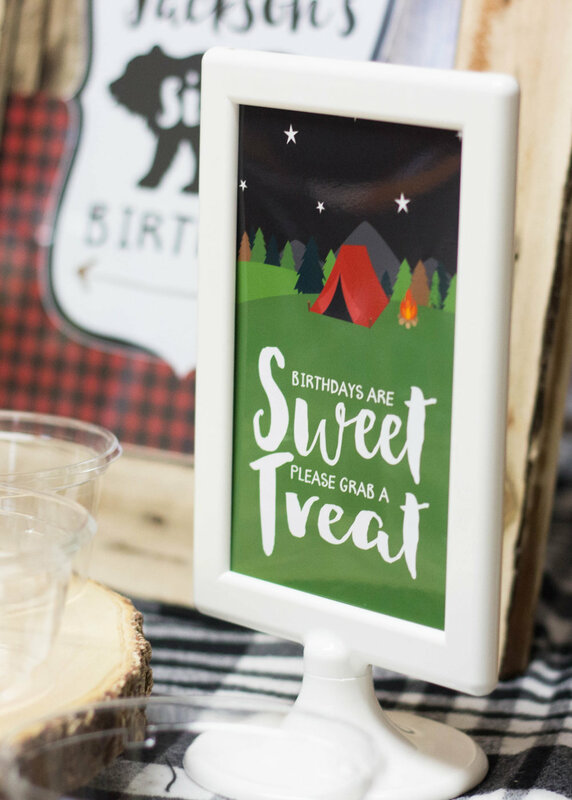 Scroll down for some food ideas, party planning tips, and a free printable favor tag to help plan your own Camping party. Twigs, Logs, Sticks, Matches, etc. The kids and adults had a blast at a doughnut eating contest. 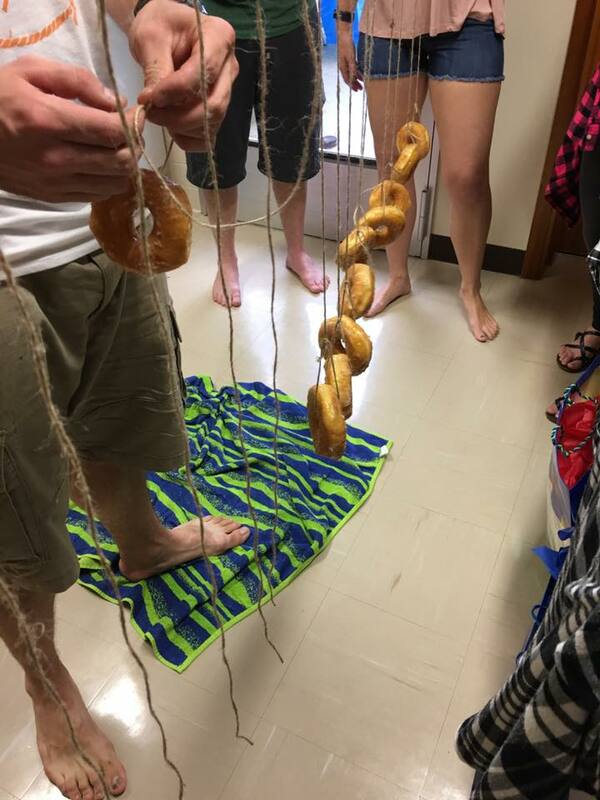 Supplies to create your own: glazed donuts, twine, and a small piece of PVC piping (or a curtain rod) to hang donuts off of. Stuck On You created these adorable personalized camping mugs using mugs found at Daiso ( The Japanese version of a dollar store). Each kid got to go home with their own mug, flashlight and S'mores pack. You can get the favor tag for your own party by clicking here, or the photo above. 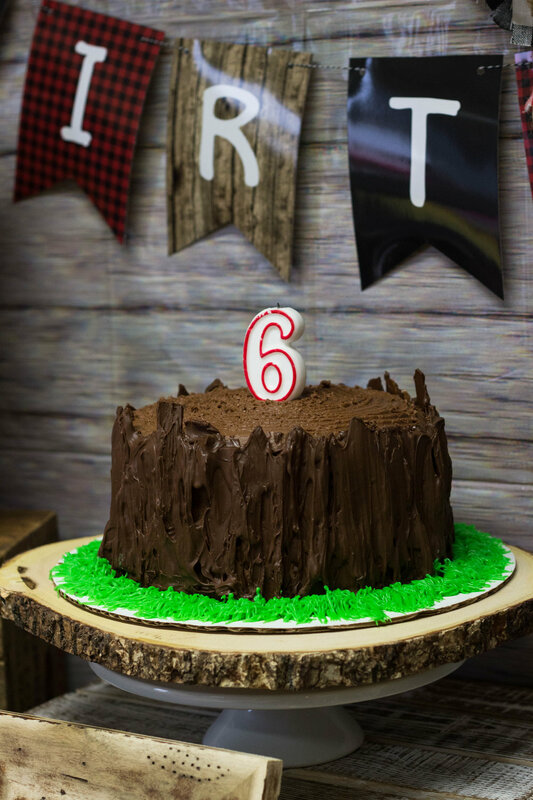 If you liked this party, check out our Lumberjack theme for other rustic birthday printables!